Imagine everyone sitting down for a big family feast. The best china set gently upon silk cloth, crystals brimming with fresh apple-cinnamon-ginger juice. An array of baked, steamed and sautéed vegetables decorate the table. The Himalayan mountain range stretches across Asia passing through China, Nepal, Myanmar, Pakistan, Bhutan, Afghanistan, and India. Most people associate the Himalayans with Mount Everest, the highest peak on this planet, but here is something new to think about - salt. Once upon a time (a couple of hundreds of millions of years ago) crystallized sea salt beds, now deep within the Himalayans, were covered by lava. Aside from being kept it in a pristine environment that has been surrounded by snow and ice year round, the lava is thought to have protected the salt from modern-day pollution leading to the belief that Himalayan Pink salt is the purest salt to be found on earth. It is now hand-mined from the mountains and brought to the culinary market. The many hues of pink, red and white are an indication of this salt's rich and varying mineral and energy-rich iron content. Iodine - Natural salts are rich in iodine, so it doesn't need to be artificially added in. 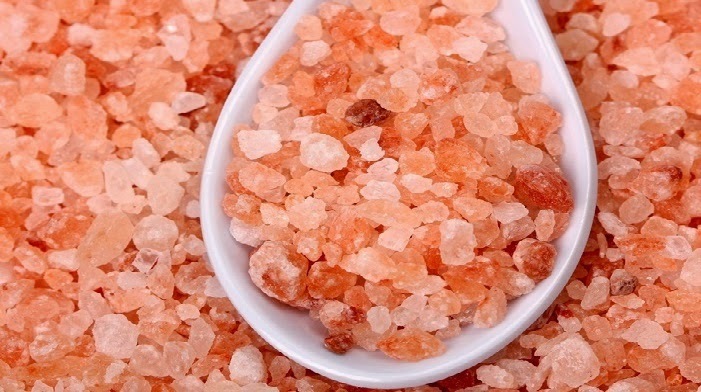 Less sodium consumed per serving - Himalayan salt is made of the same components as table salt but since the crystal structure is larger than refined salt, and by volume- this salt therefore has LESS sodium per 1/4 t. serving- because the sea salt crystals or flakes take up less room on a teaspoon than highly refined tiny table salt grains. 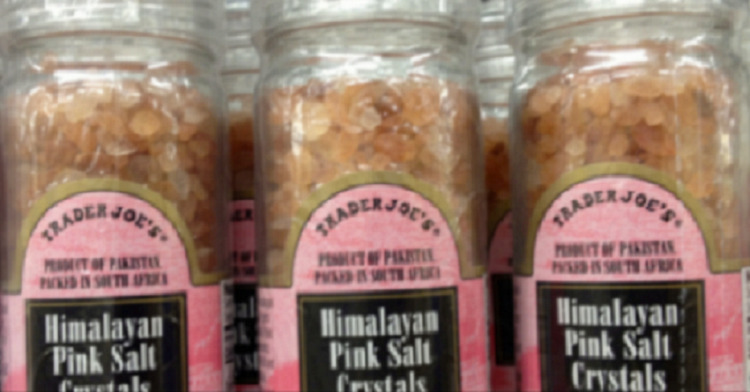 Packs a hearty 80+ minerals and elements - Himalayan salts are mineral packed crystals which formed naturally within the earth made up of 85.62% sodium chloride and 14.38% other trace minerals including: sulphate, magnesium, calcium, potassium, bicarbonate, bromide, borate, strontium, and fluoride (in descending order of quantity). Cooking and curing - use pre-ground salt or grinders like any other salt. Salt Slabs - used as serving platters, the slabs will impart an enhanced salt taste and mineral content. Chilled: decorate with fruits, sushi, vegetables or cheese. Frozen: present cold desserts and even sorbets. Heated: use the slabs to sear vegetables, shrimp, fish fillets or thinly sliced beef or even to fry an egg. The dense salt blocks conduct heat beautifully with near perfect heat distribution. Decoration - use the salts in containers, as décor crystals and sprinkled on food for presentation. 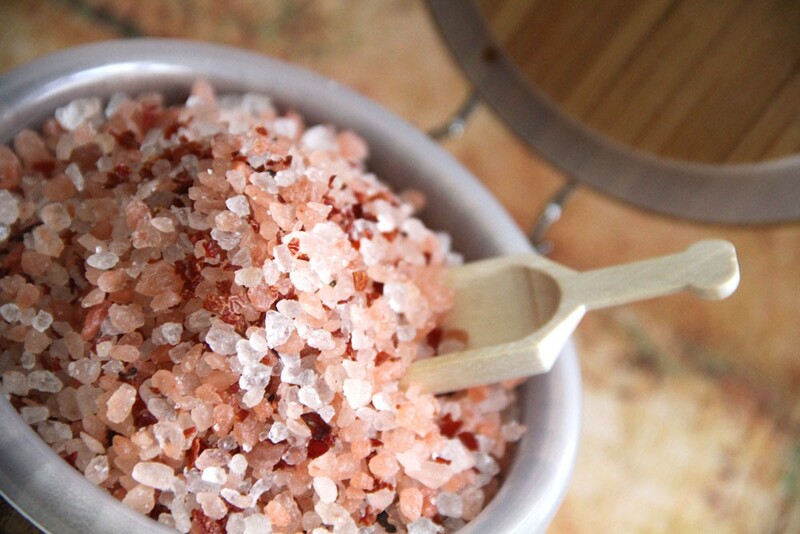 Bathing - throw in the tub for a detoxifying Himalayan salt bath. The replenishing nutrients stimulate circulation and soothe sore muscles. Naturally rich in 80+ nourishing and skin-replenishing minerals, bathing with pink bath salt is a healing and therapeutic experience for mind and body. Potpourri Holders and Essential Oil Diffusers- many on-line sites sell beautiful home décor featuring the pink salt as crystal rocks. Air purification - crystal rock lamps for air purification are also found and sold on-line. If you eat meat, brining should be in your bag of tools. Brining makes meat very juice and succulent! Here's is an extremely simple recipe for it. Drain the protein, and let it rest and air dry in fridge for 2 hours.